Create your own snippet and share! Not finding the snippet you need? Create your own snippet and share! 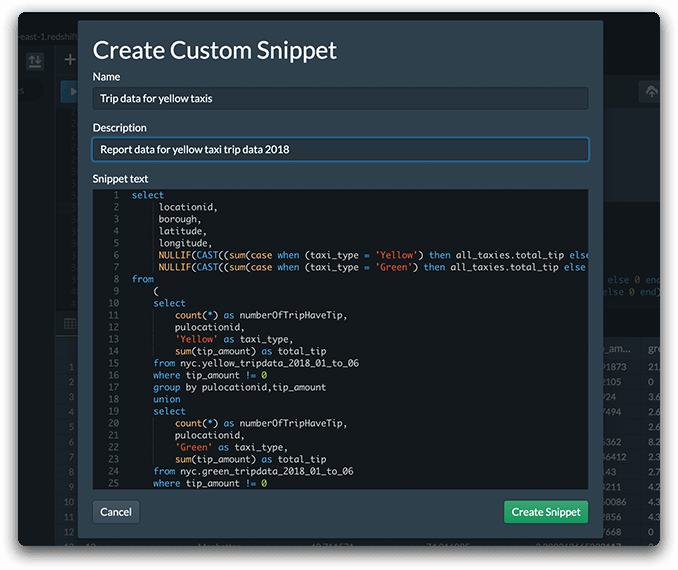 Snippets are pre-written pieces of codes that you can easily insert into your query. DataRow strives to make working with your data as easy as possible, and when you connect to your Redshift, DataRow has many snippets you’ll find useful. Rather than limiting you to snippets that come default with DataRow, you can create your own snippets for repeated use.